Keep your guests relaxed and smiling in their bow ties and high heels when you give them Red Carpet Drink Tickets at your next black tie event. 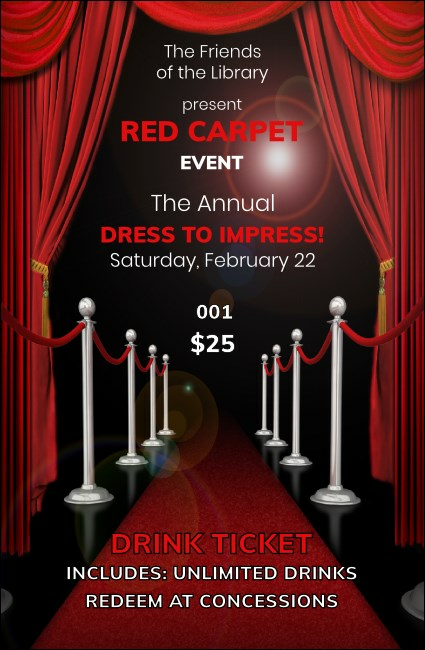 Each incredible ticket template features a fashionable red carpet background design along with sequential numbering for easy event security and twelve lines of custom text. Find the right ticket for that red carpet treatment at TicketPrinting.com.